Activated Charcoal is said to draw impurities, dirt and oil from the skin. No fragrances or essential oils, just activated charcoal and soap. Ingredients: Saponified Organic Oils of Olive, Coconut, Sunflower & Palm, Activated Charcoal. I use this to wash my make up off and face, latheres very well! This is a great face wash! I have fairly sensative skin and this soap bar has kept my face super "spueaky" clean! And I have not had any bad reactions to it. I use it almost daily. Thank you poofy! This is just what I was looking for! Actually it was even better than I expected. It really keeps my face clean and clear, and it doesn’t over dry it. I highly recommend it. I will also add that it lasts longer than I anticipated! I have been using the same bar for three months & it has more life left in it. I love washing my face with this charcoal bar! It feels so refreshing and it doesn’t leave my skin feeling dry. My face definitely looks better after using it. Charcoal is really big right now so I was curious to see how Poofy’s charcoal bar was in comparison to other charcoal products out there. I use it a couple times a week and I love how it keeps my skin clear. I use the Argan Moisturizer stick afterward but I have really sensitive skin that tends to dry out easily. And using the two products together makes my face look and feel amazing. I know other charcoal products out there that cost more and are less effective than this. This bar has helped shrink the pores on my face and clear my acne. So worth the price!! I have been dealing with problematic skin for as long as I can remember. Tried basically every product out there, got prescription medication for my acne. 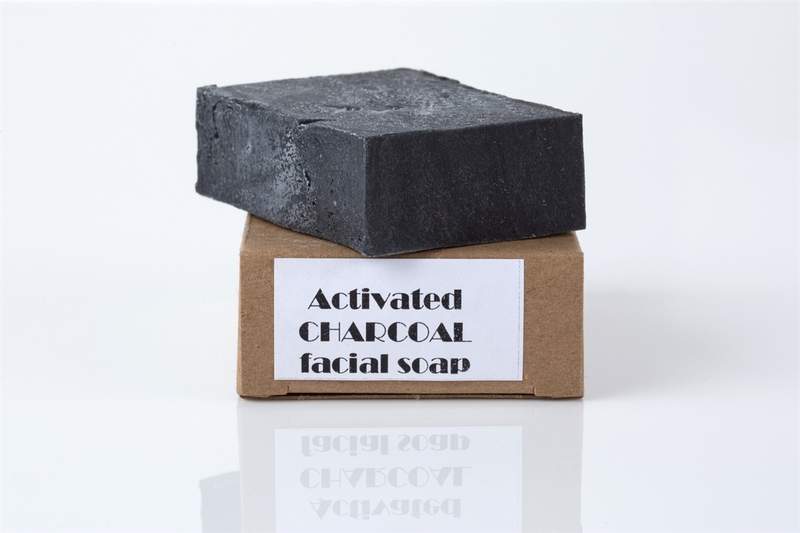 Nothing seemed to work, until I found Poofy Organic’s Activated Charcoal Facial Bar! I use this bar every day and it works wonders. I started to notice a difference in the first week. I have fewer pimples, less inflammation. The people in my life are also starting to notice my face is a lot better than it has been in years. My face feels so smooth and clean after using this bar. Totally recommend it! I really like this bar but would like it more if it had a little fragrance and wasn't as gritty. I really like that whole experience when I wash my face. I prefer a competitor's charcoal bar to this one. I am IN LOVE with the charcoal bar! <3 my face felt so fresh and clean at the end. I could see the difference of how clear my face was! it felt really dry right after, but i've recently started lathering myself in coconut oil at the end of my shower before i get out. so when i put that on my face, after having washed it with the charcoal bar, my skin felt like SILK. I would rate it a 10/10! I absolutely love the activated charcoal face bar!! I previously used body washes, but I decided to try it after wondering what it would be like washing with ‘charcoal’. After a few days, my skin was smoother and I was hooked on this. I use it everyday and love it! I highly recommend this facial soap for oily or acne prone skin. I've been using this bar for a few short weeks only and have already noticed a huge difference. My breakouts around my chin are gone, my pores on my nose are much smaller, my skin feels amazing! This really is the best thing I've ever used on my face for an overall cleaning that helps with my adult acne as well. I use argan oil for a moisturizer after, and only wash with it 3ish times a week. AMAZING!!! 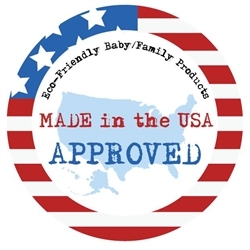 Thank you Poofy Organics!!!! I'm a forever customer <3. This soap is a amazing! I use it on my face (acne prone skin, and what a difference it's made!) as well as my body, and I highly recommend it. Not at all drying, but thoroughly cleans! I personally have acne prone skin and have tried a lot of different products to control my breakouts. After using this soap, my skin felt cleaner and softer, and after a week of using it my skin look healthier and was clearer. It did not dry out my skin, and better yet, my skin had no reactions to that, which is always a concern of mine because my skin is super sensitive and I tend to have allergies to soaps. I would definitely buy this product. If you want a soap that makes you skin feel healthy, clean, and clear...this is it! Decide to try this as a trial for my teenagers at home. Only I have tried it so far and I am amazed after first use. My hands even feel soft and super clean! What an incredible product...and reasonably priced. I will share wit others... Glad it doesn't dry me on too. I have heard great things about this soap already, so I went in with high hopes to begin with. I had no idea that with the FIRST USE my pores would shrink! I've been dealing with big pores for such a long time, and nothing ever seems to help. I will forever be a fan of this charcoal soap now! I decided to try this product after my cousin swore by it. I have to say that my acne has cleared up. The spots that i had on my face due to post acne has cleared up. My skin is even. My face is clear and smooth. This soap has become a part of my daily facial cleansing regimen. Thanks Chiquita!!! I've just ordered 2 more bars. This soap is a life changer! As uncomfortable as this is to talk about, I am so impressed, I have to share. I have knotty, sore, cyst like areas under my skin, at times, around my underarm region. They usually last for days, and grow more painful as each day passes. The last two I have had, I washed with the activated charcoal soap. In less than 24 hours, the area was beginning to resolve, and within 1-2 days, it was gone. I love this soap, and would recommend it to anyone. This charcoal soap is the BEST!! I have dry/combo skin and my husband has oily skin, we both use this soap 2-3 times a week and definitely have noticed our skin is cleaner, pores appear smaller and it does not dry out our skin! Super easy to Cut it in 3 chunks to extend its life! I suffer from a bit of acne around my chin at times and don't like using chemical filled cleansers. I bought this on a whim and absolutely love washing my face with it. It lathers up nicely and leaves your skin feeling smoothe! Decided to try this on a whim and I'm loving it. Lathers nicely and keeps my fave feeling fresh. This is like nothing else I have used on my face! It isn't drying it just cleans it, so gently. My skin has never looked so good!! I am acne prone and this soap just seems to calm it like nothing else can!! So simple and safe, I am thrilled!! I was actually able to cut it in half, I leave half in the shower and half by my sink. I put this soap on my face and let it sit for a few minutes then rinsed. I washed my face once more and the next day my annoying zit between my eyes was gone. I love this soap. New favorite! Since using this soap on face I have noticed I have less breakouts and just better skin overall. It has definitely become my go to face soap. The only downfall is that I have to clean my sink and shower more frequently as it puts a thin black film on the shower floor/sink. It is a small price to pay for great skin though! The best charchol face bar I've ever tried in my life!!!! Great Job Poofy!!!!! Thank you!!! !